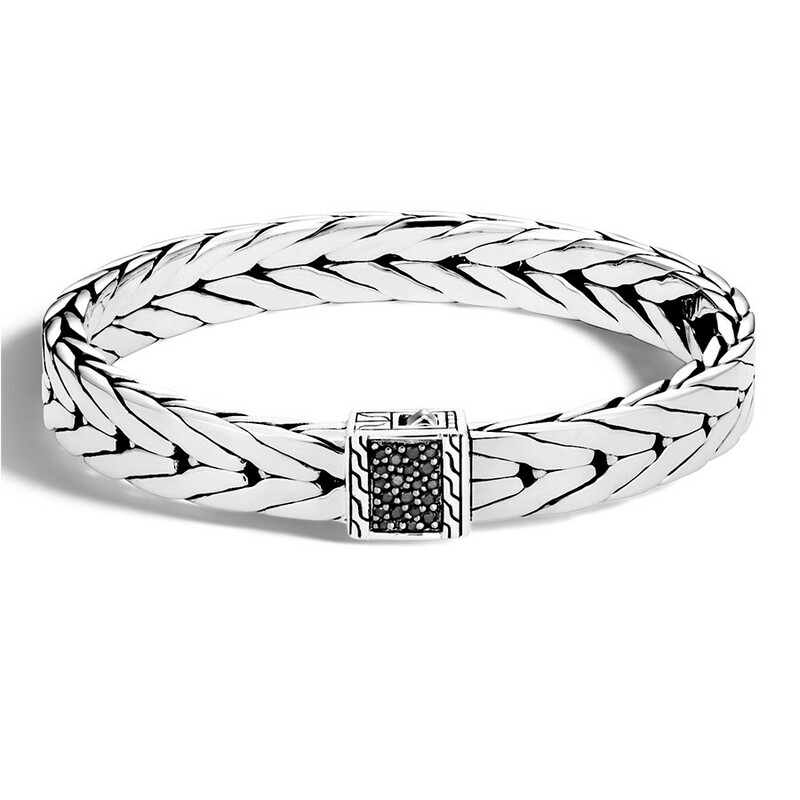 Dress up your favorite casual attire with this contemporary John Hardy silver bracelet. With a slim and understated silhouette, this sterling silver stunner also features black sapphires encrusted on the clasp. Echoing the signature motif from the Modern Chain collection, the silver and black design of this bracelet can be worn with almost anything.